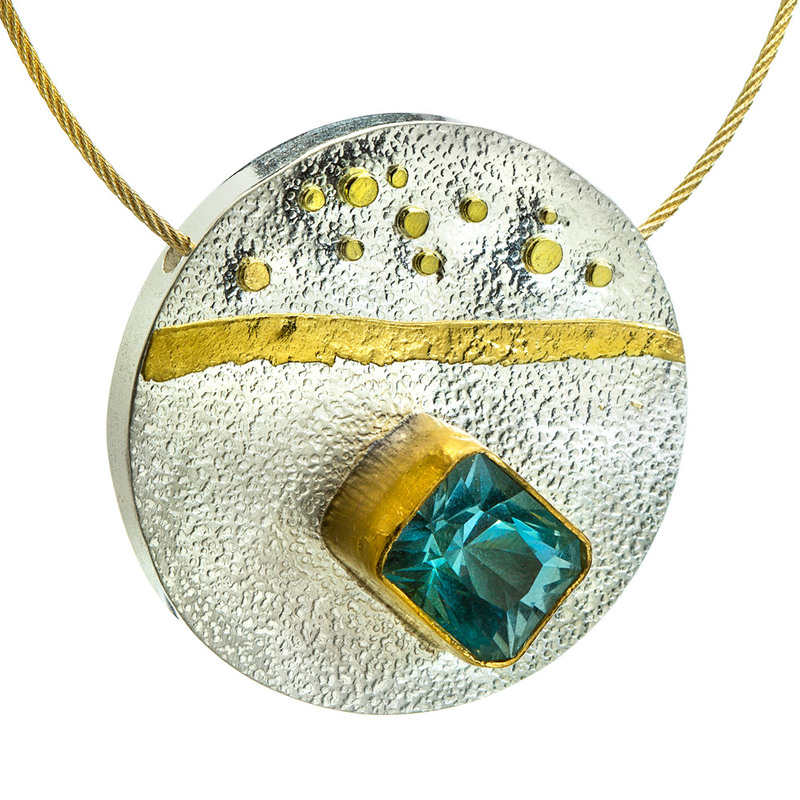 This piece has a beautiful Aqua gemstone bezel set in 22k gold. The Aqua measures 6cts and is set on Argentium with 22k gold decorating the piece. The piece is 1.5″ radius and has a hidden bail.